From four individual parts, with distinct musical pasts but also overlapping histories, a new unified chapter begins with Piroshka and the quartet’s thrilling debut album Brickbat, released 15th February via Bella Union and available to preorder here. 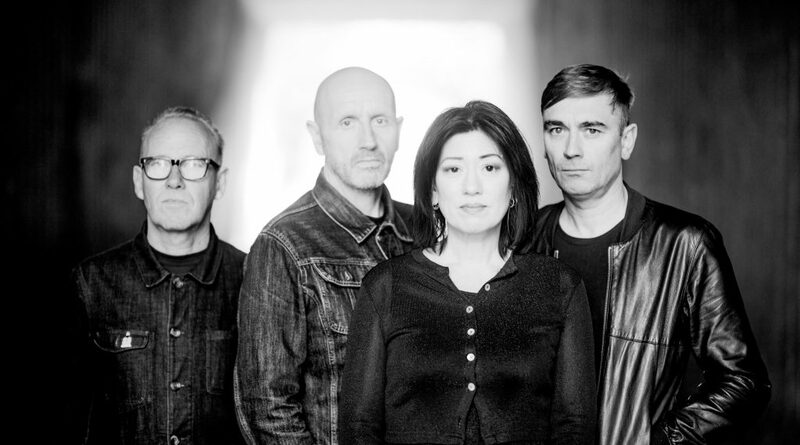 The four band members are former Lush vocalist/guitarist Miki Berenyi, former Moose guitarist KJ “Moose” McKillop, Modern English bassist Mick Conroy and former Elastica drummer Justin Welch. The band have shared a first track “Everlastingly Yours”, which is premiering via Stereogum and announced a number of live dates, including a sold–out Lexington show later this month and a 6–date UK tour in Spring 2019. The album is named after the word for a missile, which nails the record’s heavyweight lyrics if not the music’s gorgeous, bittersweet and euphoric pop. Think of Brickbat as a wolf in sheep’s clothing – which suits the name Piroshka, the Hungarian take on the wolf-terrorised fairytale hero Little Red Riding Hood. The connections between the members are a veritably tangled family tree. Before they lived together and raised a family, Miki and Moose were notable figures on the so-called shoegaze scene, while Elastica were Britpop peers. After post-punk pioneers Modern English split for a second time, Mick became a latterday member of Moose, while Justin joined the reformed Lush in 2015. And when Lush required a bassist for what proved to be their final show (in Manchester) in November 2016, Mick stepped in. Bella Union skipper Simon Raymonde had been one of the first to hear the demos; he instantly signed the band, further entangling the Piroshka family tree – his former bandmate Robin Guthrie (of Cocteau Twins) produced Lush’s debut album, while Raymonde’s current bandmate Richie Thomas (in Lost Horizons) is a former member of Moose. Raymonde subsequently introduced Piroshka to Paul Gregory of Bella Union labelmates Lanterns On The Lake who mixed Brickbat (except ‘What’s Next’, mixed by Alan Moulder) and to Fiona Brice (another Bella Union alumni), who wrote Brickbat’s strings arrangements, with Terry Edwards (ex-Higsons, current Blockhead), who played on Lush’s final album, on brass. Together, from the feedbacking intro to the beautifully fuggy dream that is the album finale ‘She’s Unreal’, Piroshka and Brickbat are a wonderful and unexpected union of proven talent.